Contact us today to see the power of Robotic Marketer in motion. Robotic Marketer is easy to use, smart and an engaging tool for your entire team. All you have to do is fill in information on your company, your marketing objectives and the technology does the rest. Give us a call at 1300 300 080 (AU) or at +1 206-369-1950 (US). 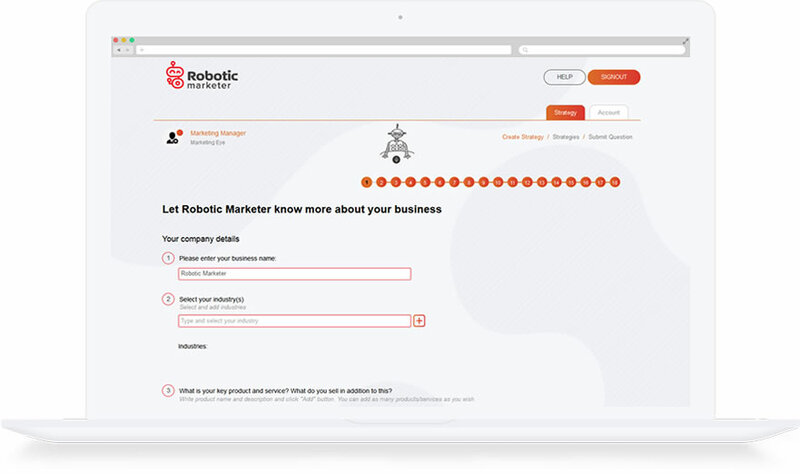 Register today for your online Robotic Marketer demonstration.